Hello there! Joy here with a sweet card that is perfect for a Girl's night out or Bachelorette Party. 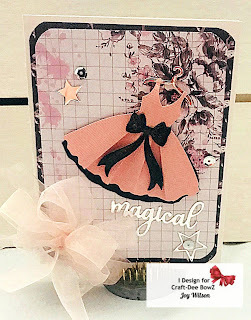 I used Spellbinder "Night out" die set featuring the dress, starys, bows, and sentiments. For this project I die cut 2 dress bottoms to give a layered look. 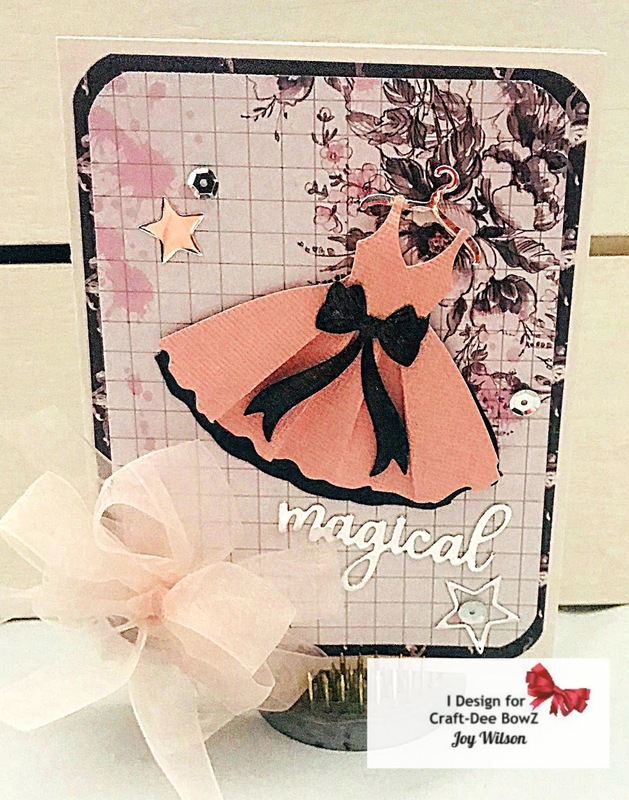 I obvioulsy couldn't leave this beauty with a gorgeous bow to go with it using my Craft-Dee BowZ tool!. We have one more week left for the April Challenges, so scroll on down and join in on the fun! 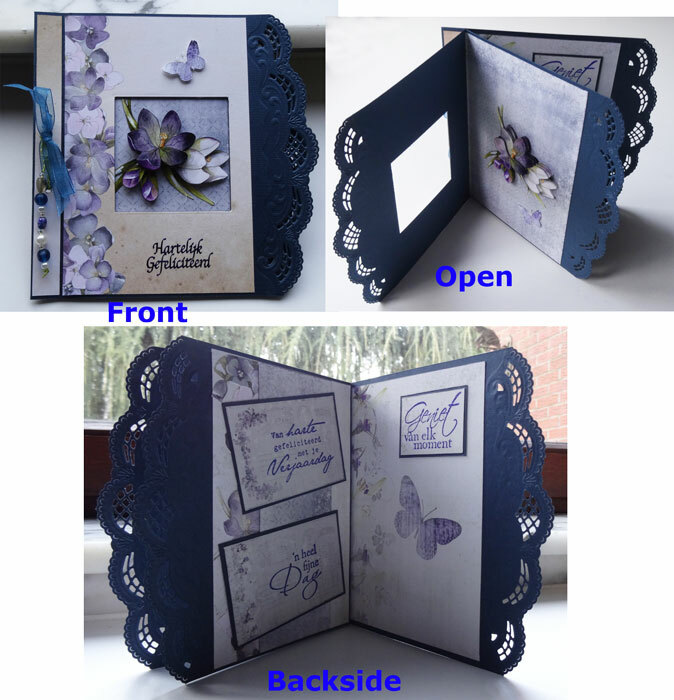 Please check out my blog for all the information on how I made this card! Thanks for stopping by! Have a great week! 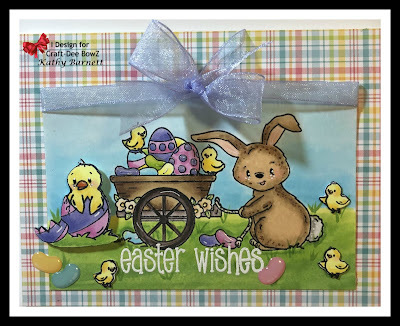 Hi Its Tracey here with my mid month inspiration project .Sometimes you just want to do something a little bit more special with your card .so ... I took a very plain boring grey piece of backing paper and added texture paste through a diamond shaped stencil. I splashed it with Lindy's stamp gang inks in orange ,grey and brown and dried it all off with a heat gun . 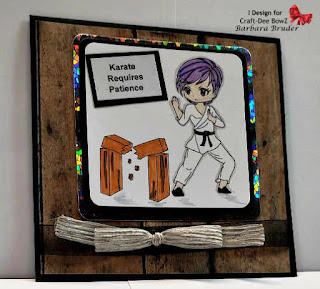 I then stamped using a clear Versamark ink pad and a script stamp from Indigoblu randomly over the paper and heat embossed it with a little gold WOW embossing powder .Then i distressed the edges . I painted a chipboard frame with white acrylic paint when it was dry i glued a vintage image behind the frame . i took a clock face i had made from air dried clay and splashed some lindy's sprays on it so it would match the project colors. and made a pretty cabuchon using a piece of the paper i had created and a cabuchon blank and glass dome. I made some foamiran flowers .these were made using ivory foamiran coloured with pastel chalks. I added pearls, a bow made with string and my CraftDeebowz bow maker, some tonic flourishes and some Tim Holtz ideaology words to finish it all off. 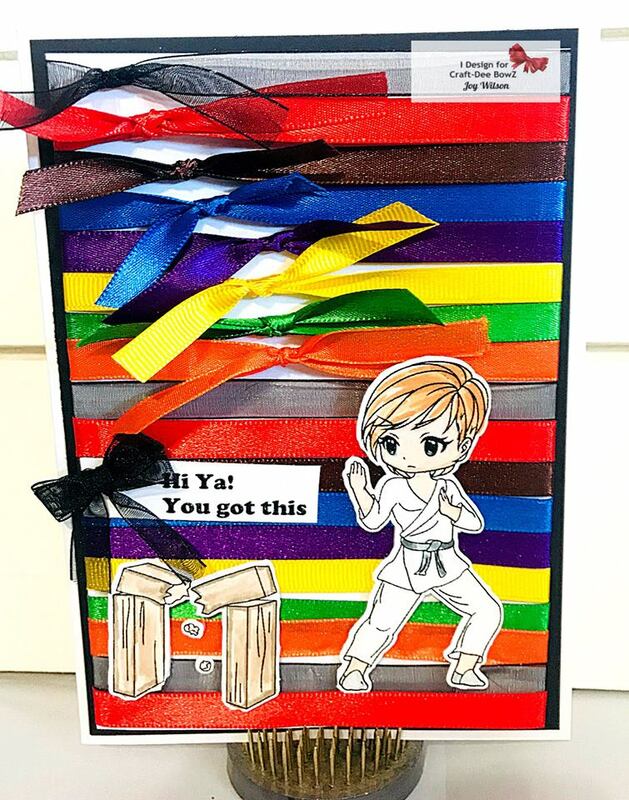 I hope you like my project and that you will come and join us us in the challenge where anything goes with a handmade bow. Hello and Kathy here, it's my Tuesday to post for some inspiration. For my hosting project, I used some images from Simon Says Stamp. 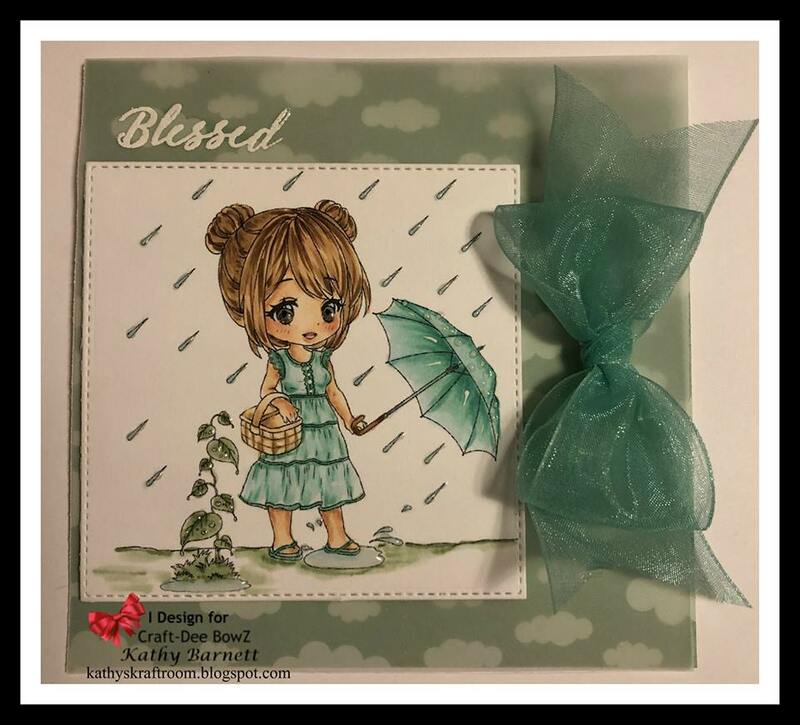 This is part of a Special Edition Card Kit, however the stamps and supplies are available individually at Simon Says. The stamp set that is used is called: Eggstra Sweet Easter. I stamped the image on a piece of Neenah cut to 4.5" x 3.25". Colored it with various copic markers, including the background. 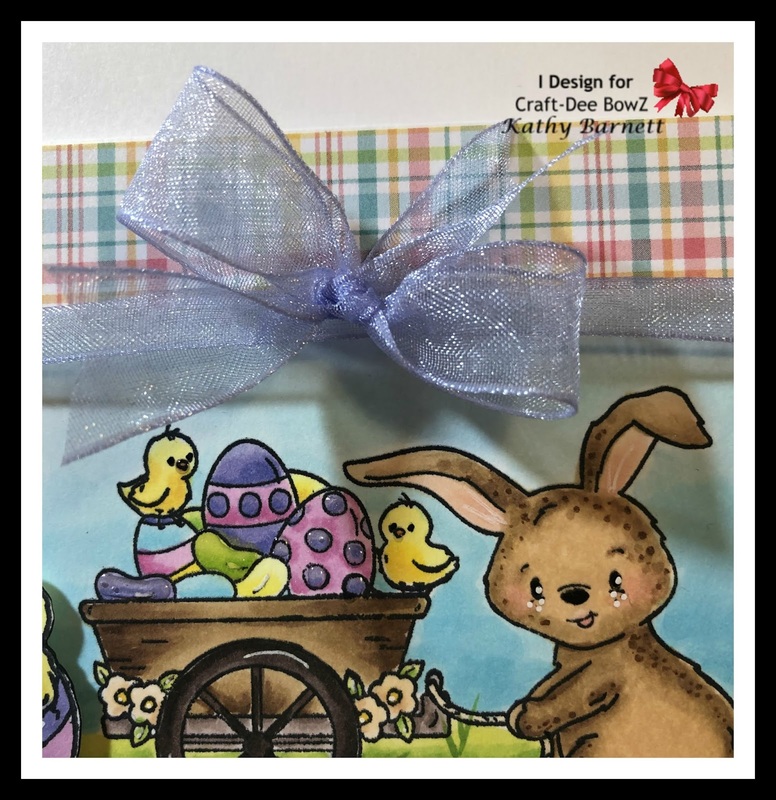 Then I layered a piece of ribbon on top of the colored piece and adhered it to a piece of Lawn Fawn patterned paper to create an A2 size card. I then created a handmade bow using my handy bow tool from Craft-Dee BowZ. Here is a photo of the bow that I created with my Craft-Dee BowZ tool. I hope I have inspired you and I hope that you will join in on all the fun during this challenge. 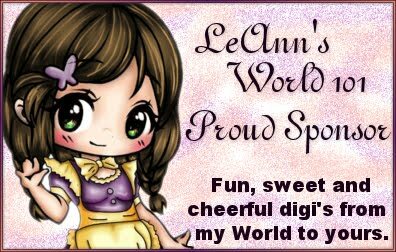 Our sponsor for the this month is LeAnn's World101. She has some really adorable images so please pay her a visit, I'm sure you will find something in her shop that you will enjoy. Up next is Tracey. with all your creative submissions. Thanks so much for joining in the fun. and send in your best creations. Prizes not claimed after 1 week (7 days) will be forfeited. Thanks you to everyone who participated in our November Challenge!!! 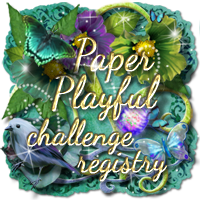 To view the prior challenges, just click on the Monthly Challenge tab at the top of the page. so check out what they have to offer. Anything Goes and include a HANDMADE BOW. Hope you have enjoyed them. 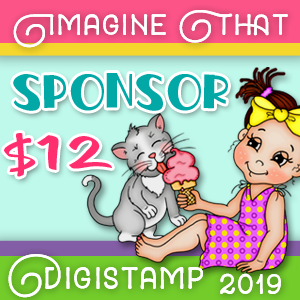 We are looking forward to seeing your creating here. Our April challenge closes on April 29 at midnight. Hello there! 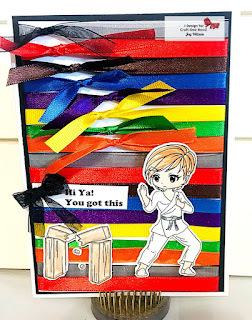 Thanks for tuning in for more inspiration here Craft-dee Bowz! I have this beatiful tissue paper in my stash waiting for the perfect project. I adhered this delicate tissue paper with glossy gel medium to 110 pound card stock and let it air dry. 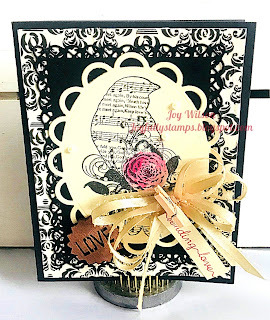 I love this Impression Obsession Stamp and decided to drop a little watercolor into the rose. The bow made from my Craft-dee Boxz tool was the perfect embellishment! 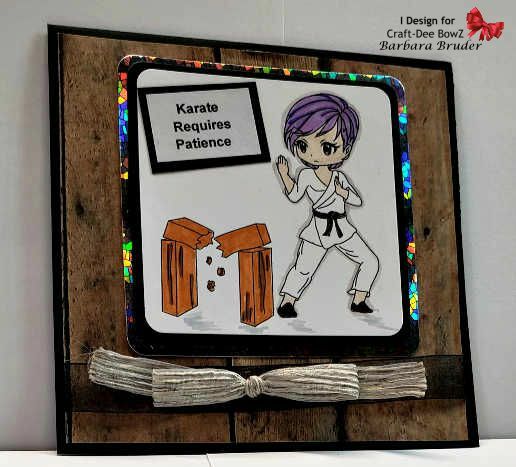 Don't forget you have a few more days to jump into the Craft-dee Bowz March Challenge and join in on the fun. 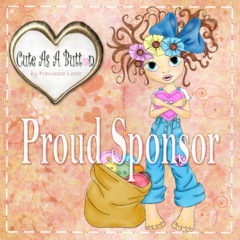 Our sponsor this month is Cute As A Button, please be sure to check out their great digital stamps too. To find out more about my card you can find it here.